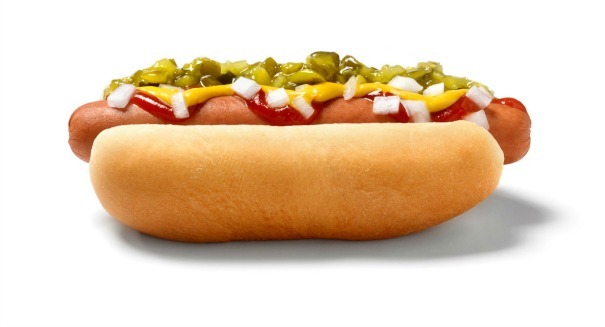 A new study has looked at just what makes up a hot dog -- and the results aren't pretty. America is obsessed with hoot dogs: we eat 7 billion of them each year — including 150 million on July 4th — and we never question what’s in them. Well, maybe we should. A new report from the organization Clear Foods throws some cold water on hot dog lovers. They used what is known as genomic technology to break down foods at a molecular level and determine what are the exact ingredients that go into a food item, according to a CBS News report. The purpose of the organization’s report is to find out just how accurate those content labels are on ajor hot dog brands. They took a look at 345 hot dog — and sausage — products from a total of 75 brands that were sold at 10 retailers. Get ready to throw up: in 2 percent of the samples, they found DNA from humans. That’s right, human DNA. Think you’re in the clear, vegetarians? Think again. Human DNA was found in two-thirds of vegetarian samples. Yes, the vast majority of vegetarian products had human DNA in them. And it gets worse for vegetarians. Because they’re not actually eating vegetarian 10 percent of the time when they consume these products: one out of every 10 samples contained meat. Clear Foods offered the caveat that some hot dog manufacturers were producing high quality hot dogs that didn’t have these problems. They named Hebrew National, Butterball, McCormick, and Eckrich as the shining examples. But if you’ve got a favorite brand that’s not one of those that you want to stick with — well, perhaps it would’ve been better had you not read this article at all.